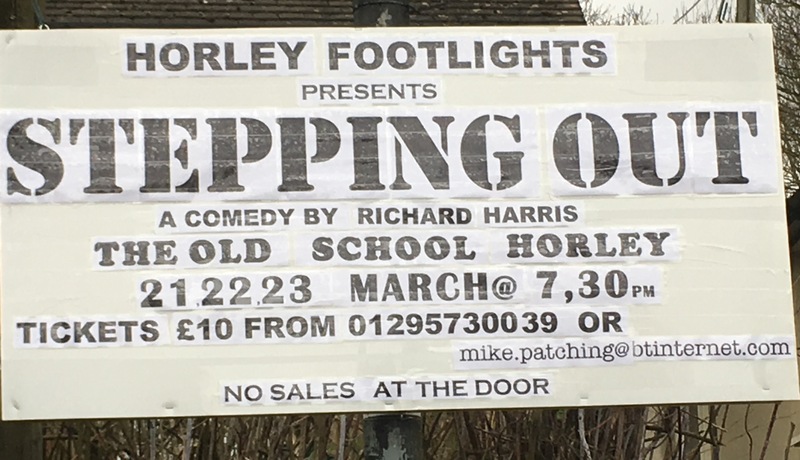 Stepping Out Tickets Selling Out Fast! There are only 9 tickets left on Thursday and 2 for Saturday (none for Friday) – so if you want to see this ‘not to be missed comedy’ of the year you need to act fast! Also a gentle reminder to all those who have yet to collect and pay for their tickets please hurry up and do so! This entry was posted in Uncategorised on March 19, 2019 by thehorleyviews.